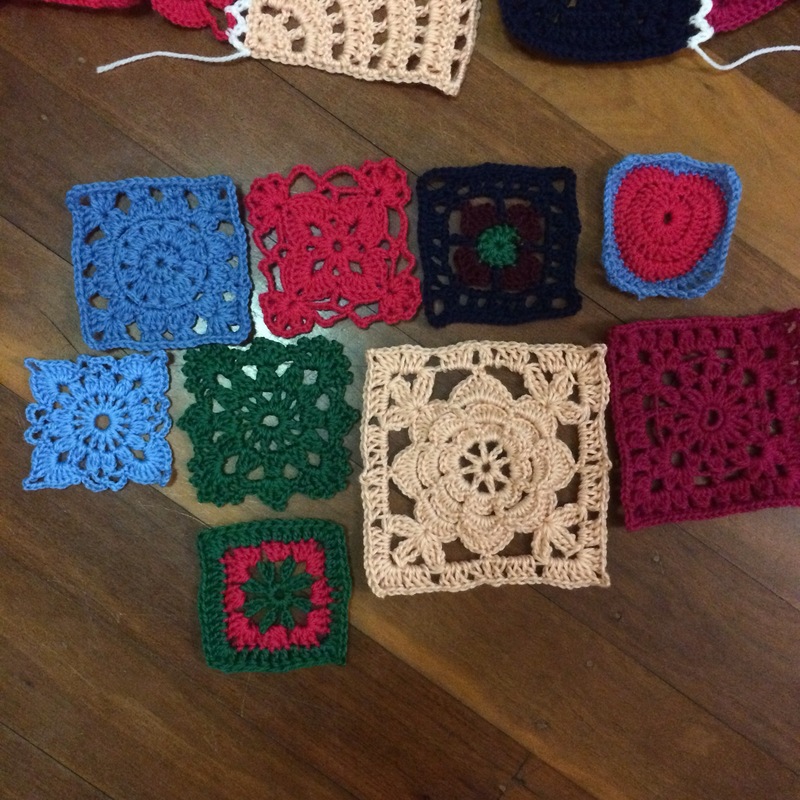 I have been really slack lately on my granny blanket but I’m trying to get it finished by the end of the month so I started joining the squares. 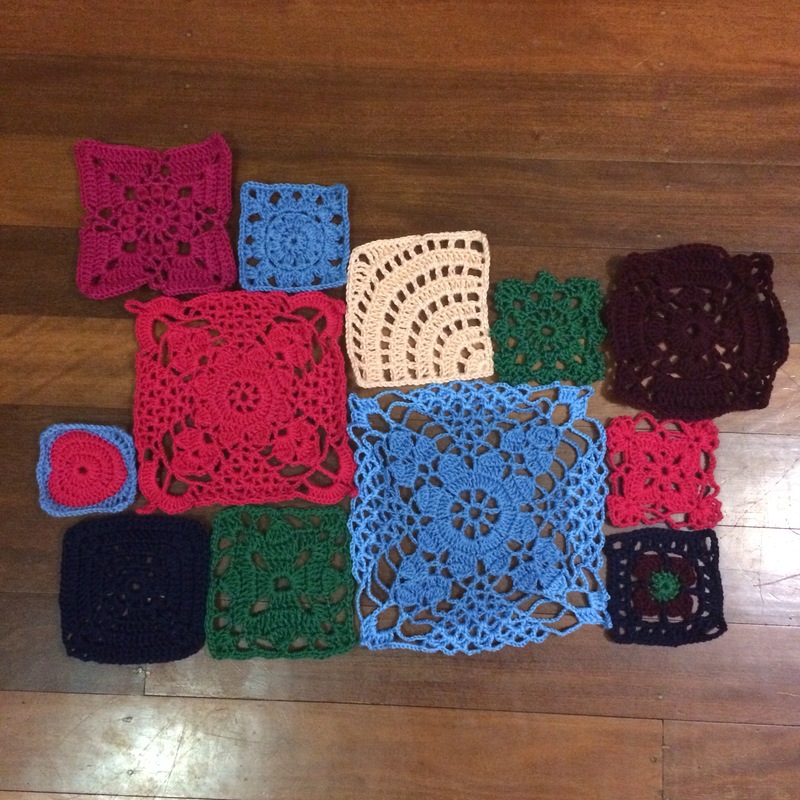 Because of all the different sizes, I’ve had to shuffle the squares around to find the best position. 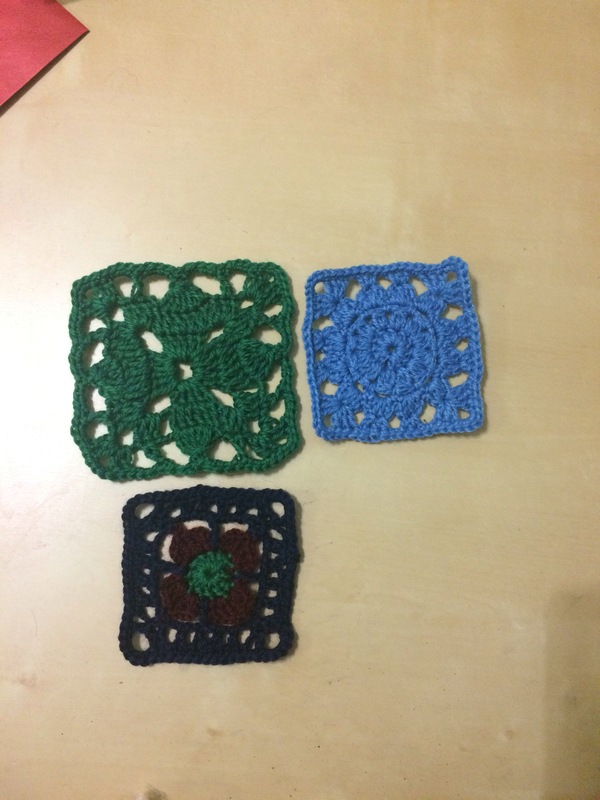 This is what I’ve got so far 🙂 and those are the other squares I have finished. 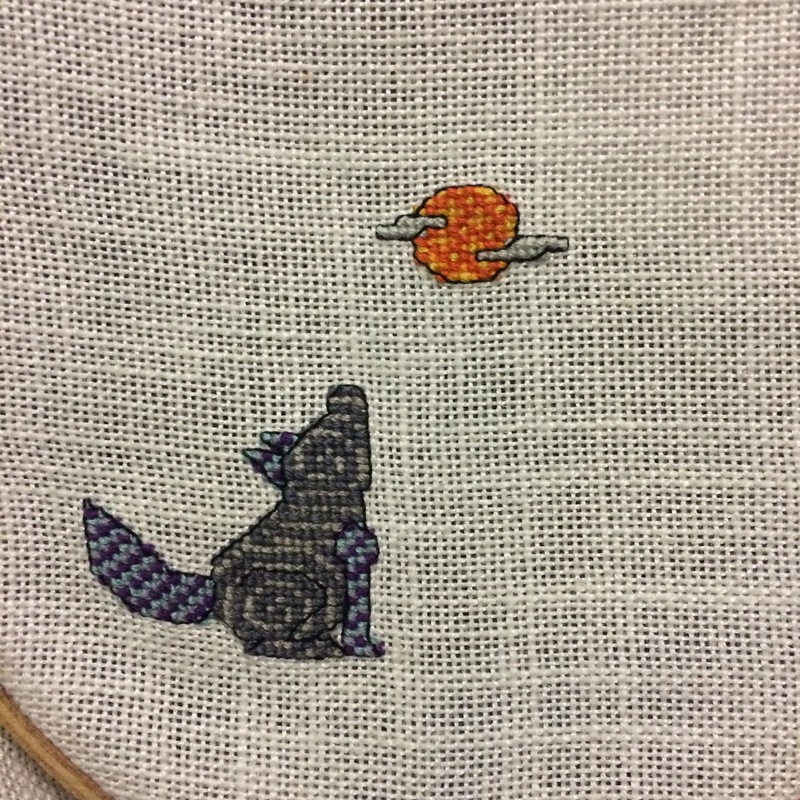 I’ve been working on a new cross stitch project, a werewolf howling to the moon. 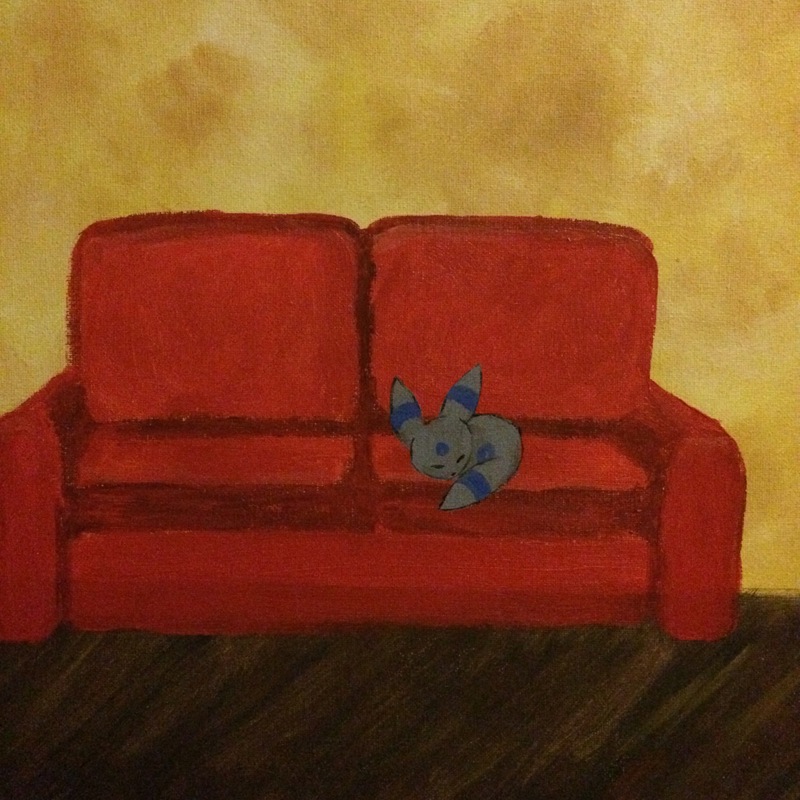 This is it so far, I’m still debating of whether or not adding the quote from the title to it. 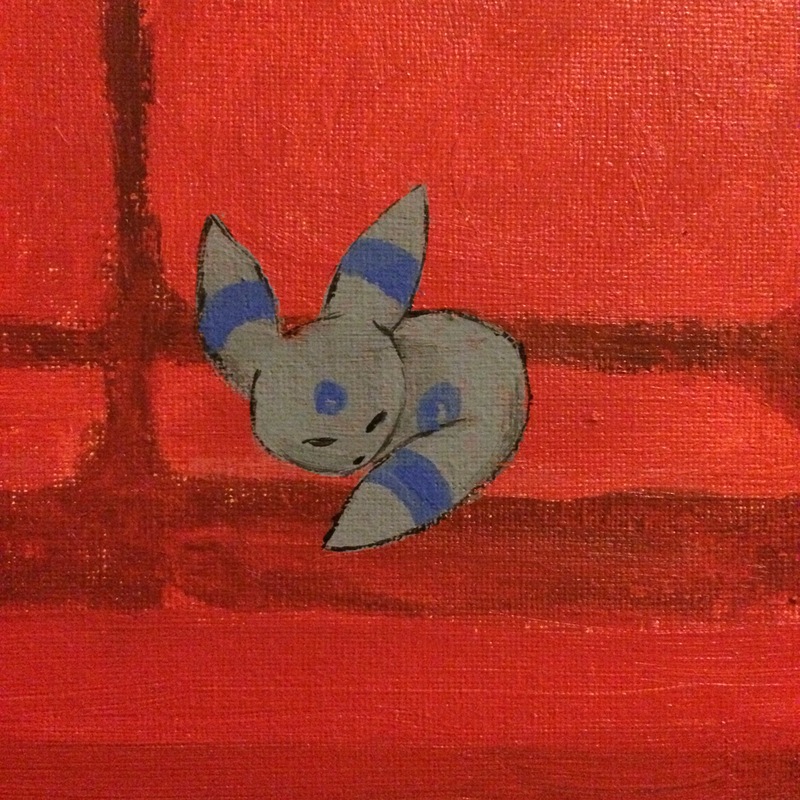 I added to my painting with a shiny umbreon but, even though he is cute, I think the painting looks empty, so the rest of the eevylutions will probably be joining him! 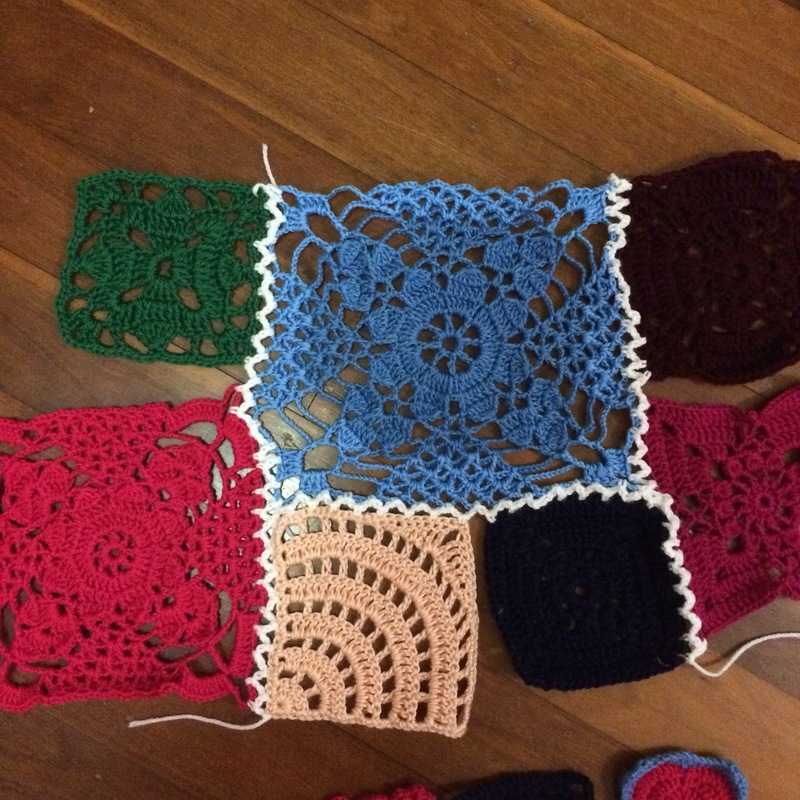 I’ve been extra lazy with my granny squares so I’ll have to catch up if I want to finish my blanket before the end of the month. There must be a nasty bug going around, or I’m just really tired, but I got a bad cold. I normally never get sick, I think this is the first time I’m properly sick in at least 3 years. Still needed to get to work today so boohoo 😦 maybe tomorrow I can stay home and rest. 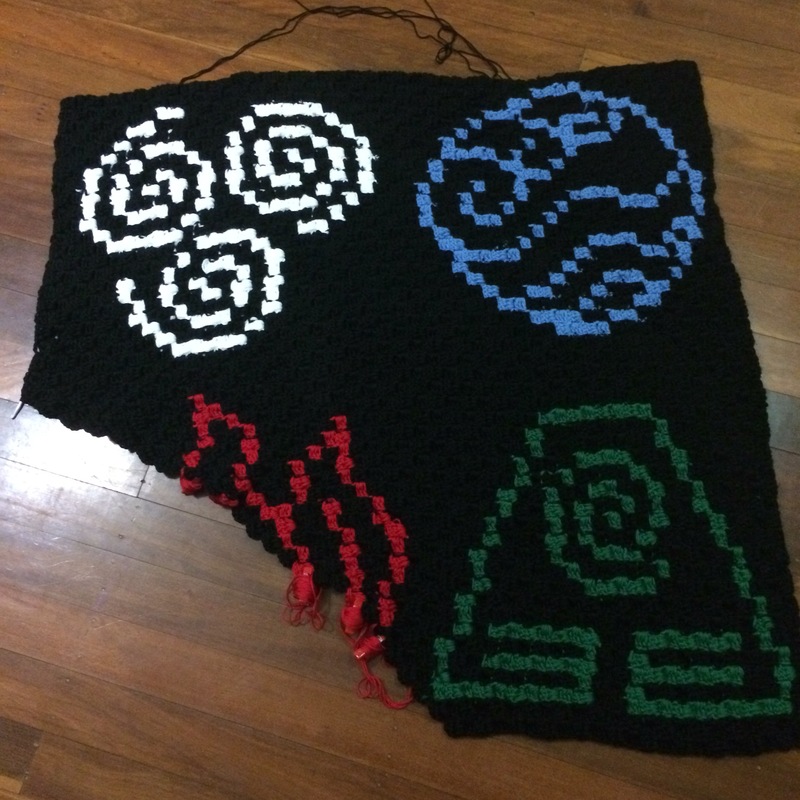 I’ve finished earth on my avatar afghan! Still planning on finishing it by the end of the month so I really need to get going! Still not sure what I’ll do for the border. Any suggestion? 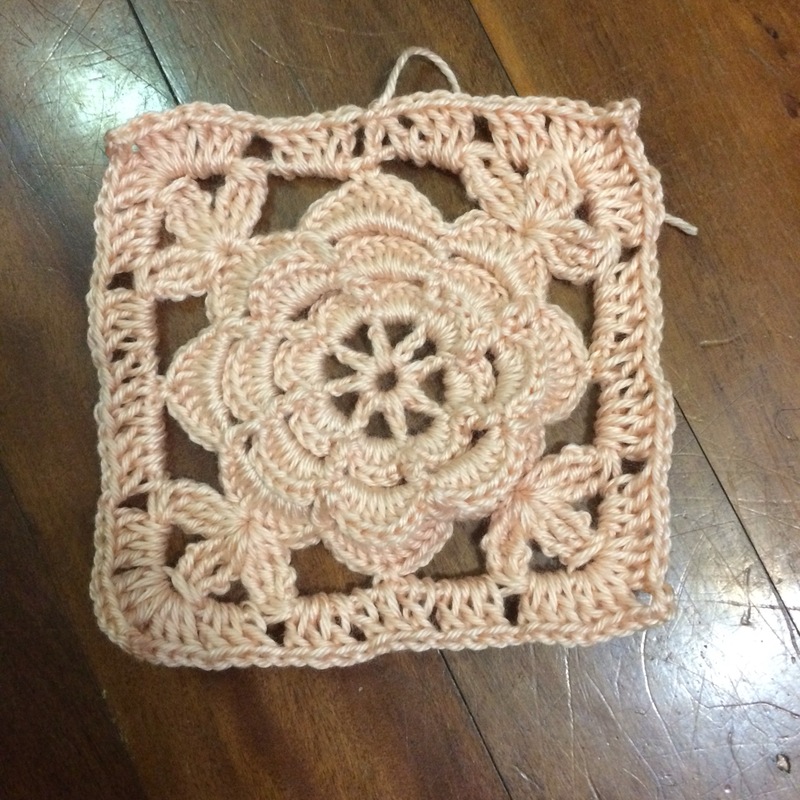 I’ve done more squares as well for my #CraftyCAL, this time I’ve played with a lacy style which gave me bigger squares. I really like them! Hope you guys are having a great week, free from coughing and sneezing! I promised myself that I wouldn’t start a new project until finished some of my WIP but today I gave in! 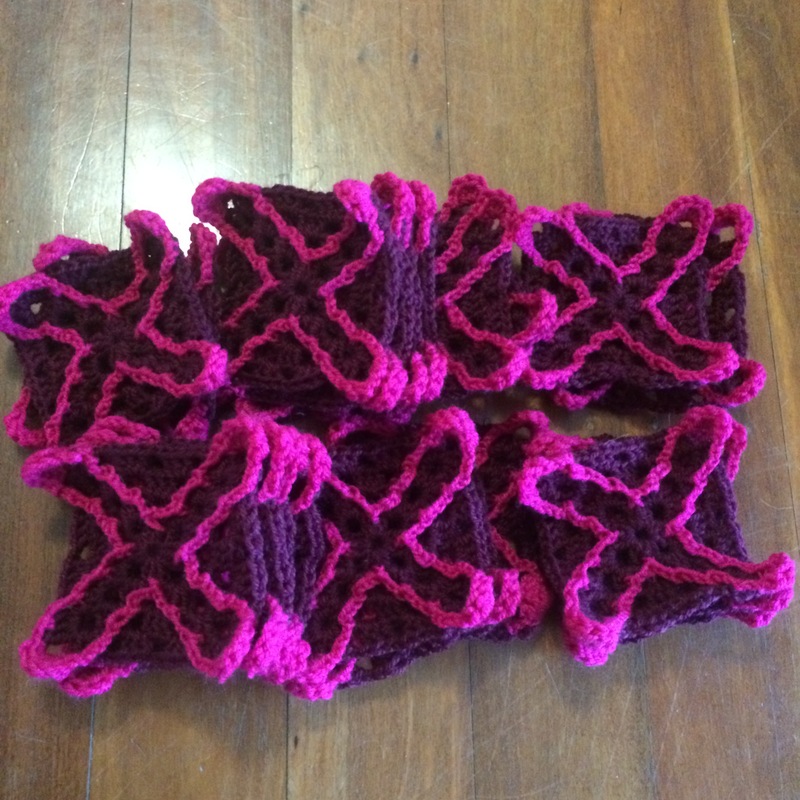 We are going to the Gold Coast this weekend for Valentine’s Day so I also hooked a few hearts to spread the love, love bomb style! Do you guys have some fun crafts planned for V-day? And it is Friday again! This week went rocket fast, and I’m glad because I can finally see my man after a whole 5 days away! 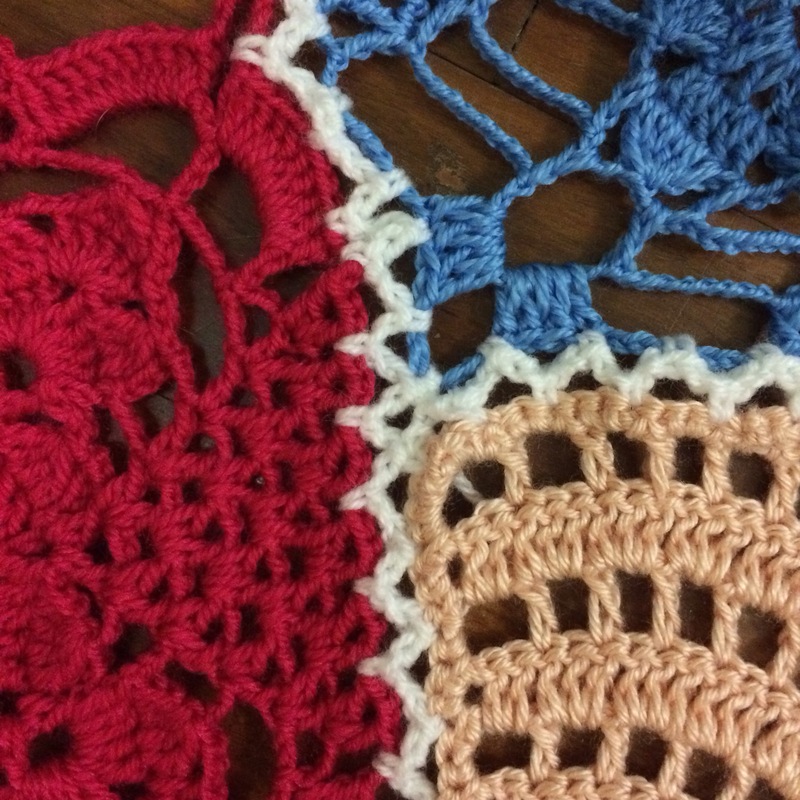 I am also excited to show you the progresses I’ve made on my mystery afghan this week. 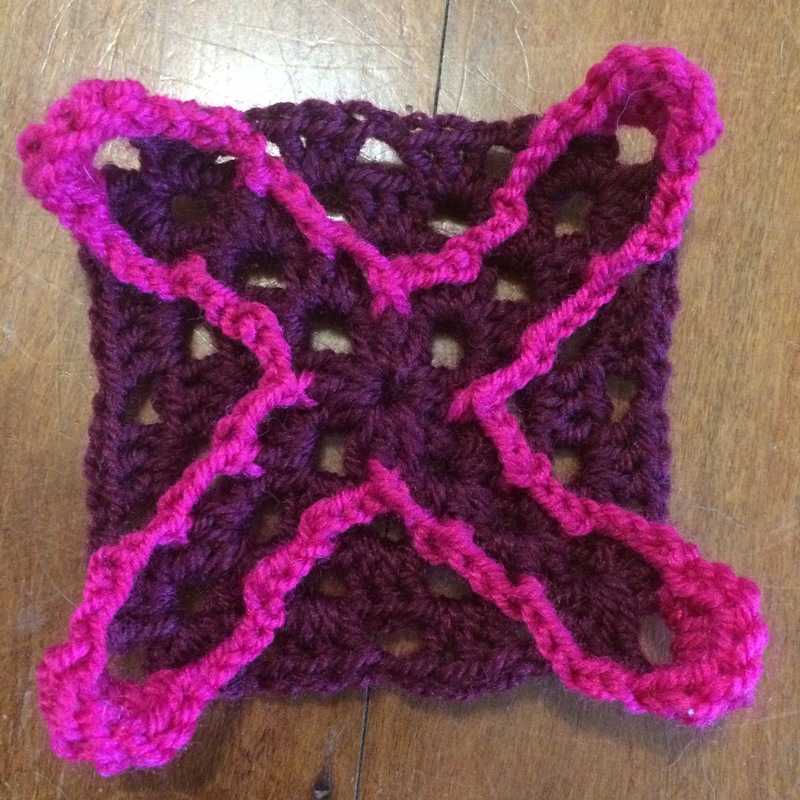 The second step was to add a kind of cross over last week’s granny square, using colour B (you can see which colours I’ve chosen here). To be honest, I’m not a huge fan of the result on a single square. But when all of them were finished I quite liked them all together. What do you guys think of the week 2 results? I still wonder if the finished product will be big enough to use as a lap afghan. I guess I shall wait and see! Yesterday I fell in love with this yarn. 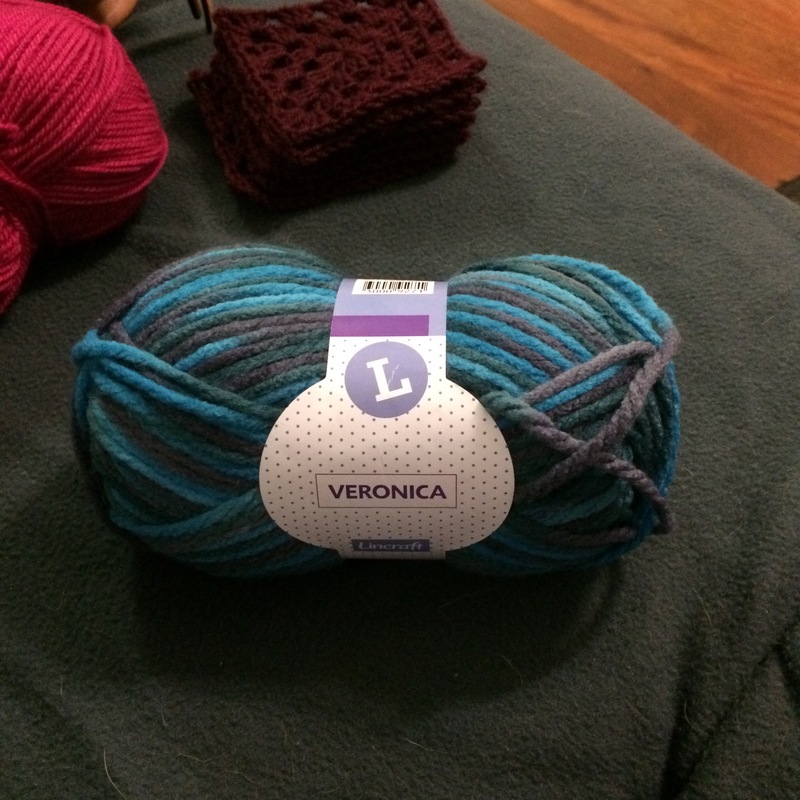 Veronica is soft and feels very confortable, I am planning to make a giant granny square out of it to bring out on barbecues and other picnics this upcoming spring/summer. I just love the different shades it has and the feel of it! 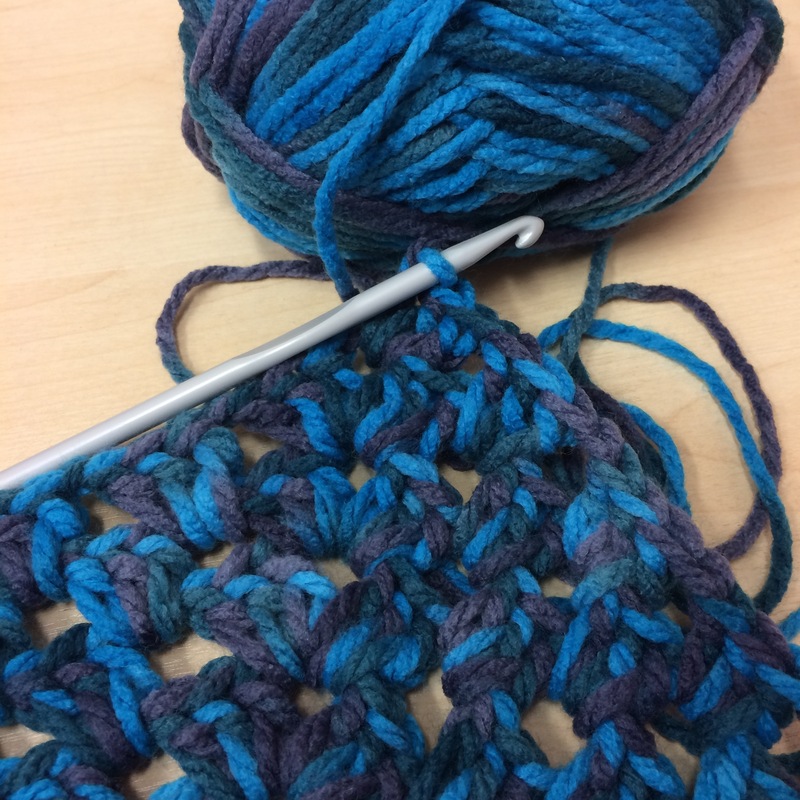 What’s your favourite yarn at the moment?